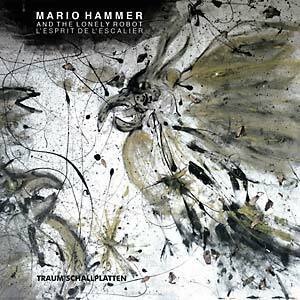 This full-length CD by Mario Hammer and the Lonely Robot might come as a surprise -- but Mario has left traces of his skill before, particularly with his modular contributions to Traum's Tour de Traum series and his work as RWAC. Listeners have since caught up to him -- Robert Babicz asked him for remixes -- and Mario has been inspired by DJs like Dominik Eulberg to leave the path of dance culture and simply work with sounds. The result is a 60-minute non-dance full-analog piece of modular music: L'esprit de L'escalier. 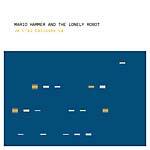 Mario has been a fan of old analog synths for most of his life and, for some of this album's tracks, has teamed up with Josef Steinbüchel, who shares a similar love for synths. They wrote the album's 13 tracks over a year, with many ideas born in the writing process. 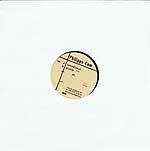 Only "Metaphysical Orchestra" and "Sirimiri (Hammersche Modularverschaltung)" are previously released, and appear here in different versions. The album is loosely organized around BPM by following the speed of LFOs and arpeggiators to make the experience totally soothing. The album can be divided roughly into two parts; the mood switches about hallway through when "Yugon" introduces a beautiful and darker side. The pulsating "Mono No Aware" sets free a stream of sounds not unlike a focused, intensive, golden sunbeam before moving toward gracefully archaic melodies. "Chakwira" starts with a polyphonic melody, dazzling in its melancholic tone, then blends into the soothing and warm "Hyggelig," with an enveloping sound as gigantic as the legendary synth sound on Vapourspace's "Gravitational Arch of 10" (Plus 8, 1993). "L'esprit de L'escalier" is one of two almost-ten-minute tracks, and it makes use of a spectacular melodic sequence. On "Sirimiri (Hammersche Modularverschaltung)," Amon Düül, Klaus Schulze, and Cluster spring to mind here. "Symphony of Pulsing" follows in an incredible transition before "Yuyin" calms things down with a loose, improvised feeling. "Eigengrau" catches the remnants to form a track that connects to "Sirimiri," but in a different direction. 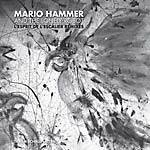 The final minute of closer "Nefelibata" is enhanced with a sound that Mario Hammer came across, bringing the album to a beautiful analog end.